Approved and used by GM, Ford and Chrysler. 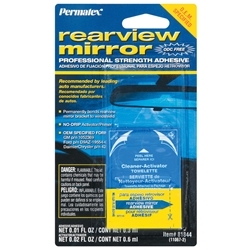 Permanently remounts mirrors to windshields. Achieves handling strength in seconds; mirror-mounting strength in 15 minutes. Avaliable in single and multi-applications. ODC-Free.